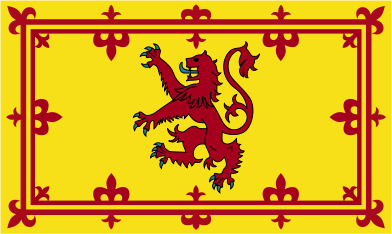 Today I received a very kind note from a Mr. Gaylan Lane asking me about the lion rampant on the Scottish armorial arms (please see posted at the very bottom of this posting). I have yet to see any official link connecting Flemish and Scottish heraldic arms but I would not be surprised if there was. The fact is, as Ms. Annette Hardie-Stofferen points out in two articles below, the ties between Flanders and Scotland were broad and sustained. My deep thanks to Mr. Gaylan Lane for prompting this post. The army which William the Conqueror ferried across the Channel in 1066, to wrest the English crown from King Harold, contained many men who were not Norman. William was married to Matilda the eldest daughter of Baldwin V, Count of Flanders and William’s continental allies were Flemish. The prosperity of Flanders had caused a number of the ancient “comtés” around her perimeter to attach themselves to the new power. Among them were Hainaut, Mons, Leuven, Aalst/Gent and Guines. Boulogne, with its own subsidiary “comtés” of Lens, Hesdin and St Pol, was also allied to Flanders, as was Ponthieu, away on the Norman border. All were linked by close personal ties to the comital family of the Baldwins. All regarded themselves, and were regarded by others, as Flemish. All were ruled in 1066 by men directly descended from Charlemagne. The Flemings had the right wing of the Norman battle formation at Hastings, under their liege lord, the man whose banner they had followed there, Eustace II, Count of Boulogne. Whereas the Normans had no arms-bearing tradition at the time, Flanders had inherited all the armorial panoplies of Charlemagne and indeed the Bayeux Tapestry shows the banners of Boulogne, Senlis, St Pol, Aalst, Hesdin, all of them heraldic devices used in 11th-century Flanders descended directly from Charlemagne. Balliol, Beaton, Brodie, Bruce, Cameron, Campbell, Comyn, Crawford, Douglas, Erskine, Fleming Fraser, Graham, Hamilton, Hay, Innes, Leslie, Lindsay, Lyle, Murray, Oliphant, Seton, Stewart. The Rebellion in Moray, during the reign of David I., was actively suppressed with the aid of Flemings, who obtained grants of land for their services. The evidence of the influence of these powerful newcomers on the fabric of David I’s kingdom can be found on the ground, in those traces of military activity which the Flemings were so swift to provide. As early as they could be built, castles great and small were flung up at every vulnerable point. Modern research into the character of Scottish mottes began as long ago as the 1890s and in the unhappy fashion of the time, they were immediately classed as Norman, though their strategic disposition as well as their method of construction was pure Flanders. As in Flanders, the royal castles were most often to be found in towns, places which would be quickly fortified and named as burghs. This was a strategy borrowed directly from Charlemagne who had called his fortified centers “burgs”. Large numbers of Scottish mottes developed as soon as feasible into private stone castles. Some writers have commented on the peculiar height of these tower houses, considering them unnecessary and expensive in a Scotland where there were so many natural high points on which to place them. But this kind of construction was a direct descendant of the defensive needs in the landscape which had provided the model; the flat lands of so much of Flanders demanded an artificial high look-out if the defenders of the region were not to be taken by surprise and Flemish soldiers in Scotland built what they knew. In England, in 1154, King Henry II had expelled all aliens as encroachers on English trade and many Flemings were thus compelled to seek fortune and refuge in Scotland. King David I was then busy assisting the great southern monasteries of Jedburgb, Kelso, Dryburgh, Melrose and Newbattle. These great religious houses obtained most of their revenue from wool. The arrival of these banished Flemings was remarkably opportune, for they were favoured in the knowledge of weaving all manner of articles from wool, and thus trade became opened up, through them, with the rich wool *merchants in Flanders. Many Flemings were acting as Baillies for the monks as far west as Turnberry and Carrick, and in Tweeddale, Annandale, and Clydesdale. The monasteries rapidly developed into powerful successful trading corporations, and with their international affiliations and agencies became keen competitors, enjoying peculiar privileges from the State. During the excavations in 1927 of a new theatre at Hide Hill, Berwick, a quantity of human bones was discovered, recalling the dramatic circumstances of Flemish settlement there. They are believed to be the bones of heroic Flemings. On this site stood Red Hall. It was the headquarters of the wealthy Flemings, who traded in wools and hides. Under the fostering care of King David I, Berwick had risen into great importance as a place of commerce and was peopled by merchants from all over the Continent. The Flemings were, however, by far the most important section, and were the only people to form a separate and influential trade-guild. 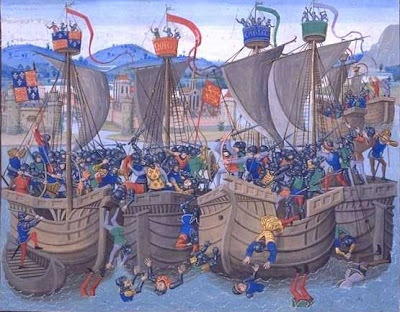 When the infuriated monarch of England captured Berwick in 1296 he instituted a wholesale sack and slaughter. In the midst of the bloodshed, 30 Flemings, under oath never to surrender to the English, put up a magnificent defense. In their last stand, Red Hall was set on fire by Edward I and, fighting to the end, the Flemings were buried in its ruins. 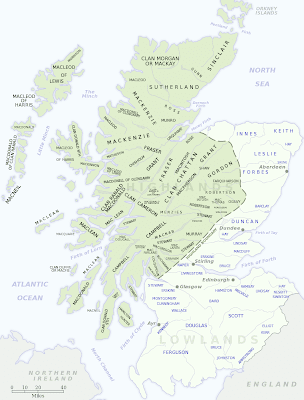 The nomenclatures of several Scottish towns are further evidence of the mediaeval migration of Flemish traders. The nationality of these fresh settlers is still enshrined in Scottish topography, for there is an estate known as Flemington, between Nairn and Inverness in the old barony Petty. We have several other ‘Flemingtons’ in Scotland: one in Ayton Parish, Berwickshire; one in Newlands Parish, Peeblesshire; one near Cumberland, and Old Caste Flemington in Aberlemno Parish, Forfarshire. John Crab, credited as having been the military engineer to Robert Bruce, was a Fleming. He owned land around Rubislaw, from which we have Crabeston. These Flemish immigrants could not fail to impress their character, customs, and language upon Scotland, such as we may trace in the diminutives in Broad Buchan ‘je’ or ‘tje’. The East Coast of Scotland is peculiarly rich in innumerable examples which might be cited, and in addition there are many more Scoto-Flemish terms now fast becoming extinct through lack of use. For instance, in ’kailyard literature’ we come across some young maiden that was ‘fell’ bonnie; ‘fel’ is the Flemish for ‘extremely”. Spinners speak of winding a tangled ‘hesp’ (hesp is Flemish). The Scotch word ‘kittlin’ for tickling is also derived from the Flemish kittelen’. When a petted child is crying it is said to be yammering,’ from the Flemish ‘jammeren,’ to lament. We feel a ‘snell’ wind, from the word in Flemish, ‘snel’, meaning swift. A “mutch”, from the Flemish “muts”, is a cap. A stitch is called a “steek” in both languages; and we call the small finger a “pinkie”, from the Flemish “pinkje”. There were two more important immigration waves into Scotland of Flemish craftsmen : the first was in the latter half of the 16th century, consisting of principally Flemish refugee Protestants; the second, towards the end of the l7th century, consisted again almost entirely of Flemish Huguenots, consequent on the religious persecutions by the French King Louis XIV which followed the Revocation of the Edict of Nantes. Every Scottish town of note seems to have encouraged Flemish immigration during some period of its history and many Flemish craftsmen and merchants had accumulated wealth and acquired position, which gave them the opportunity of introducing many luxuries from their native land such as children’s toys (dolls were then known as “Flanders Babies”), spinning-wheels, tapestries, Flemish “pendens” or curtains, lace, mirrors (called “keeking glasses”), sheet-glass for windows, “the Flanders kist” (chest), bells and carillons, cannon, gunpowder, armour. The Flemings taught the Scots to weave the finest fabrics and to make gloves. During the 14tb century the commonest head-covering was a large Flemish beaver hat made from waste wool compressed with some adhesive. An old writer says, “The Danger of the Kingdom from foreigners is that the Flemings instructed us how to make Spanish felts, while the French taught us how to take them off’. They also taught to make fishing lines and nets from flax thread and to grow flax. During 1587 an Act of Parliament was passed in the reign of James VI offering the most favorable terms to induce more Flemish flax growers to come over to Scotland. Again, in 1606, several Flemish families are mentioned as having been introduced to teach native weavers the latest methods and also to instruct in the best methods of flax-growing, spinning, etc. Scotland has ever since maintained her pre-eminence in spinning linen thread. About the year 1725, Lady Bargarren so improved upon the Flemish product that she put her thread up in paper packets with the crest of her family stamped thereon to prevent imposition. The linen industry thus steadily increased in importance. 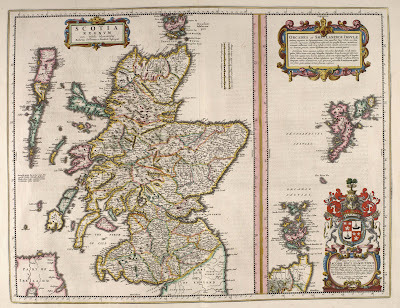 At the Union of the two Parliaments, linen was woven in 25 counties in Scotland. Flax was then grown in the country, and abundance of raw material was also obtained from the Baltic. Forfarshire (Angus and Mearns) and Fife produced most of the sail-cloth and canvas for the Navy in the days of sailing-ships. The son of a Scottish weaver called Wilson enlisted for the wars in Flanders about the year 1670. During the course of the wars he procured a blue and white checked handkerchief that had been woven on a Flemish loom. Wilson (who later adopted Flakefield as his cognomen, taken from his birthplace) preserved, with great care, a remnant of the handkerchief and returning to his native land in 1700, weaved a similar article. About 24 handkerchiefs comprised the first web. The novelty pleased the local and Glasgow merchants and the bold adventurer readily sold his output of handkerchiefs in a few hours, the first of the kind ever made in Britain. The goods eventually met with universal approbation. The number of looms daily increased, so that in a few years Glasgow became famous for that branch of the linen trade. Flemings introduced furniture carving which may be studied in the choir stalls of many Scottish churches. Flemish craftsmen plastered the walls and ceilings of the royal castles. Another Flemish innovation was polished wood floors, which excited peculiar displeasure among the rougher and elder type of noble warrior, for many a grave courtier at first, accustomed to the old-fashioned floors strewn with evil-smelling rushes, cut a most undignified figure falling and sprawling on the polished surface. The Flemings were experts in masonry (the “Flemish Bond” in brick structures). Glass manufacture was started in the Wemyss Glassworks, Fife, by Lord George Hay (the Hay family was of Flemish origin) with Flemish and Venetian glassblowers during the reign of James VI of Scotland. The De Colnet family were perhaps the greatest of Flemish glassmakers; they were associated with the Ferrors of Venice and worked at making mirrors in the Venetian manner. They introduced the art to Britain. Many of the early mining schemes in Scotland owe not a little to skilled Flemish mining engineers. Crawfordjohn, founded by a Fleming, was the center in Scotland of the lead-mining district. The Flemish Huguenots were expert salt-makers. There is little doubt but that the establishing of saltpans in Scotland was greatly encouraged by naturalized Flemings. The Scots owe the introduction of their hawthorn hedges to Flemish refugee husbandmen who came to Scotland in the l7th century and commenced cultivating the soil and fencing the farms that had previously given up wool as their staple product. The wood, from its tough quality made ideal cogs for their looms and for supplying many other parts of their spinning wheels, as well as many vital portions of their machinery. Moreover, it ranked among the best fuel, burning as well when green as when dry. The systematic growth and regular scientific rotation of crops were known and understood by the Flemings 200 years before Scottish farmers attempted such progressive farming. Their introduction of the humble turnip brought a great revolution in Scottish life. It led to the enclosing of fields with stone dykes, built to keep the cattle off the delicious root. The introduction and cultivation of this root was of great importance in providing winter feeding and gave a great impetus to the Scottish cattle trade, which had a very beneficial effect, especially on Scotland’s finances, and greatly raised the standard of living. Before the arrival of the Flemings, Scottish butchers sold their bullock hides to the fell-mongers, always with the tails on. The tails were thrown away and wasted. Who ever dreamt of eating an ox-tail, or thought of its nutriment? The Flemings kept a clean hearthstone and knew the economy of a “pot-au-feu”; hence they got the tails in a gift and reveled in the now recognized delicacy of ox-tail soup! In the early days of the 16th century the Bible possessed the allurements which come from prohibition and danger. It was smuggled into Scotland by Flemish traders carefully concealed in bales of linen or in rolls of woolen cloth. The Scots especially, for a considerable time had to depend upon Flanders for the printed word. 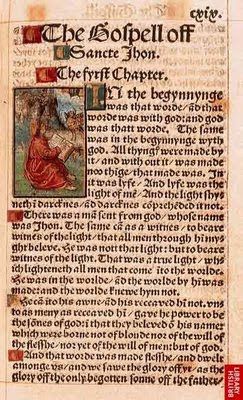 It was not till 1579 that the first complete Bible was printed in Scotland. King James I was successful in introducing Flemish paper-makers, for they had brought the art of manufacturing linen paper, now an important industry following upon the invention of printing, to a high state of perfection. But the efforts of the Flemings to introduce playing cards was entirely unsuccessful owing to Puritan and “unco-guid” Presbyterian feelings and opposition! The history of wool may be admitted to be the story of the Flemings. It was due to their exertions that Scotland was first enabled to compete with other nations in the production of cloth from wool. The Flemings brought over a complete knowledge of the textile industry, which had been, long before the 10th century, a prominent feature in Flanders. Scotland was then far behind in the race for commercial supremacy, and it was only when the impulse was given to her native efforts by the introduction of Flemish craftsmen who taught the natives bow to improve their coarse wool that Scotland’s great woollen industry may be said to have been established. The early hardy and resourceful Flemish colonists, bringing a new social order with political and military power in place of tribal authority, had to bear the brunt of fierce Celtic resentment. We must keep in mind the natives’ point of view; they were neither a barbarous people, nor a clog upon the wheels of progress. It is rash to presume barbarism prevailed in every part of Scotland and at all periods; Celtic traditions point to a very remarkable early development of native crafts. Noble Flemings married Celtic heiresses and Flemish traders and craftsmen congregated in towns. One of the striking peculiarities of the Flemish settlements is that there is no record of extensive emigration of the dispossessed original owners in consequence of the frequent grants of Kings David and William to their Flemish supporters. - Beryl PLATTS, “Origins of Heraldry”, 1980; “Scottish Hazard” Vol. I, 1985 & Vol.II, 1990, Procter Press, London. - J. Arnold FLEMING, “Flemish Influence in Britain” Vol. I & Il, 1930, Jackson, Wylie & Co., Glasgow. For the Anglo-Flemish, the half century between the Norman Conquest of 1066 and the witnessing of that Glasgow Inquisitio which brought them into Scottish affairs in 1116 must have seemed like the summit of the world. After the awe-inspiring repulse of the Vikings by their fathers in Flanders, they had gone on in their own time to reach and sustain a pinnacle of achievement never known before in the history of a nation. Nationhood itself was a very young concept. Family bonds, loyalty to a liege lord, be he count, duke or king, the honour of a sacred cause, adherence to the chivalry code – these things were what bound men together, with national borders apt to be secondary to kinship, perhaps because they were so unfixed. 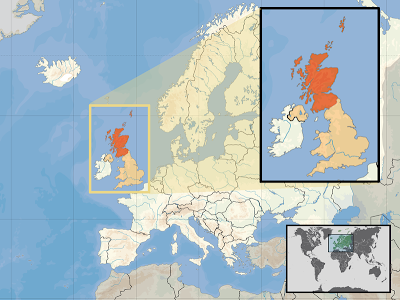 Those Flemings who had followed Count Eustace II of Boulogne to England in 1066 and received their territories there from William of Normandy, were now being offered large tracts of Scotland because their Lady had become that country’s Queen. In England, Henry II’s reign was marked by acts of oppression against those Flemings who had supported Stephen of Blois. 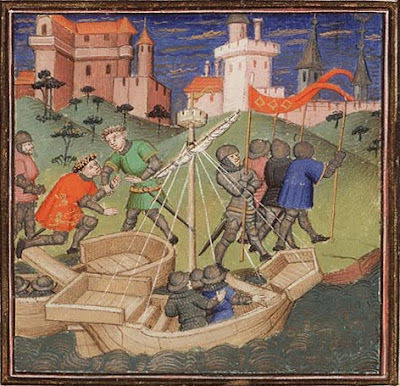 Flemish noblemen were compelled to flee back across the Channel for their own safety and many of their humbler followers were forcibly removed to farming colonies such as those in Pembrokeshire, far from both the seats of English power and the cross-Channel ports from which help might have come. The East Midlands Boulonnais instituted a second wave of immigration into Scotland, where they joined their relatives already there, and were joyfully received by their royal kinsmen, successively kings of Scotland, Malcolm the Maiden and William the Lion. The latter’s choice of heraldic device, of necessity an innovatory one since he was not heir to any Boulonnais territory, underscores the sudden fashion for lions. But the tinctures were those of Boulogne. That curious device the tressure, found only in the armorials of Flanders and Scotland must have been adopted from the former country to mark the Charlemagnic descent from Queen Maud through her grandfather, Count Lambert of Lens. In Scotland the seed of the Eustaces had ruled untroubled since the marriage of Maud de Lens to David I. Supported by descendants of her own house of Boulogne and their kinsmen, men such as Walter the Fleming (now Seton), Gilbert of Ghent/ Alost (now Lindsay), Robert de CominesISt Pol (now Comyn and Buchan), Arnulf de Hesdin (now Stewart and Graham), the counts of Louvain (now Bruce), the hereditary advocates of Bethune (now Beaton), the hereditary castellans of Lille (now Lyle), and all their cadets and followers, her own descendants continued on the throne until the tragic untimely death of her great-great-grandson, Alexander II, in 1286, followed by the equally disastrous death at sea of his own heiress and granddaughter, the little Maid of Norway, in 1290. It has not been sufficiently understood that the wars of the Scottish succession were intimately concerned with an insistence by the Boulonnais there that their own blood should continue on the throne. For Flemings had married Flemings and by now south and east Scotland was largely populated by men and women whose ancestors had come from Gent, Guines, Ardres, Comines, St Omer, St Pol, Hesdin, Lille, Tournai, Douai, Bethune, Boulogne. The 1290 break in the Scottish-Boulonnais succession provided the English monarchy with a heaven-sent opportunity to annul the Charlemagnic descent. Stepping in as friend and mediator, Edward I flung his armed weight behind John Baliol – a man who, although undoubtedly a Fleming, was not descended in the male line from the old comital house of the Eustaces. Nor has it been properly appreciated that the Ragman Rolls of the 1290s, by which an allegiance to Edward I had to be sworn by men described by later historians as “Scottish nobles”, were simply lists of important people of Flemish ancestry wherever they might be found; in fact many of the names are recognisable as belonging to Boulonnais living in the East Midlands, among them the Seatons of Rutland and descendants of the Lincolnshire Gilbert of Ghent. The patriotic William Wallace was a Scottish Celt, unacceptable as king to the Boulonnais nobility, though his bravery commended itself to some of them. Robert Bruce, cousin of the Eustaces, directly descended by several lines from both Charlemagne and David’s Queen Maud, was eligible in every way. Robert de Bruce’s ancestor came into England carrying the azure lion of Louvain, and must have been of that house, whose Maud de Louvain was the wife of Count Eustace I of Boulogne. Members of Robert’s family may well have been granted estates in Normandy at, for instance, Brix as tradition states, by a Conqueror anxious to procure both their allegiance and their Flemish ability to provide trade. 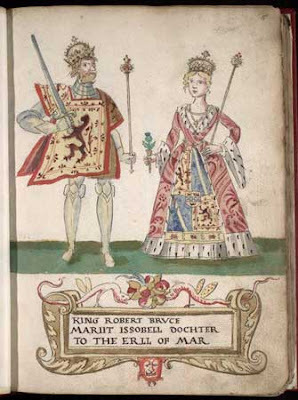 Robert de Bruce very properly gave up the Louvain lion to Jocelyn de Louvain, a senior son of the family, when that prince married the heiress to the Percys; and the saltire, in the colours of Boulogne, became the mark of Bruce. And Edward I’s rage and dismay at Bruce’s coronation at Scone on March 27, 1306, may be gauged by that curious ceremony some two months later in Westminster Hall, on Whit Sunday, May 22, when he “caused two live swans with gold chains about their necks to be brought into the Hall, and laying his hands upon them, swore with all his attendant nobles before God, Our Lady and the Swans’ that he would be avenged on the Scots”. It was a highly expressive action. Edward’s public vow-taking was half a defiance, half a capitulation. The swan was then, as it is still, the central heraldic mark of the arms of Boulogne. For the swan legend (in spite of Lohengrin) seems to have originated at the castle of Bouillon, which was the inheritance of Eustace II’s second son, Godfrey of Bouillon. Scottish writers have followed a Celtic tradition which preferred to allot the thistle to a legend of Kenneth MacAlpine rather than give it its true (and much more thought-provoking) significance as the personal emblem of Godfrey of Bouillon, who led so many founders of Scottish families on the First Crusade. Investigation into the rise of the European nobility – where they came from, who they were – has only recently become a subject of interest to continental historians. These 20th-century researchers have put forward various theories; some of them are in conflict with each other, chiefly because of regional differences. But the belief that the noble families of the northern part of the Continent were sprung from marriages of Charlemagne s children with the commanders of his civil or military’ administration, retaining at least some of that power, is substantiated by virtually all the genealogical documents that have survived those distant times. The regions where the ruling families were of Carolingian descent embrace the “comtés” north of the Ile de France, east of Normandy, west of Germany, including of course the whole of Flanders – a description here used broadly to include territories like Brabant and Hainaut which, though theoretically independent, were in practice part of the political ambience of the Flemish counts, and for long periods under their direct control. 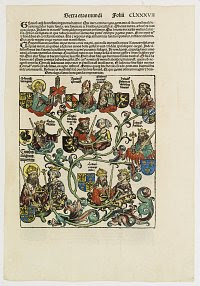 Flemish families separated by the events of 1066 and subsequent years, making lives wholly apart for themselves in a Scotland divided from Flanders by an absolute gap in both time and distance, still possess armorial devices identical with those borne by men in Flanders often of the same name. The Scottish families of Flemish origin listed below are by no means the whole of the Flemish contingent that went north at David I’s request. The Baird (originally’ Baard) family are first quoted as of Loftus, Yorkshire. About 1200 Richard Bard in Scotland confirmed gifts made by his father, also Richard, to Lesmahagow Priory, Lanarkshire, an action for which he had to have the consent of his lord, Robert of Biggar, grandson of the Sheriff of Lanarkshire, Baldwin the Fleming. There can be little doubt that the Baards, or Bairds, shared Baldwin’s nationality. Their arms show, in the colours of Boulogne, one of the emblems of Guines. A number of llth- and l2th-century charters survive, signed by members of the Bailleul family, which give conclusive proof that their home at the relevant dates was Bailleul near Hazebrouck in the present-day’ Nord department of France, but then, of course, in Flanders. It appears certain that Guy de Bailleul was present at the Battle of Hastings. 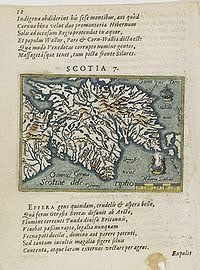 The date when the English Balliols first acquired lands in Scotland is obscure. But that they had an interest in the Christian advancement of Scotland is shown by the gift Bernard de Balliol made to the abbey of Kelso in the year 1153, of a fishery in the river Tweed at Wudehorn. Although they chose wives from leading Flemish families, their changes of heraldic symbols (often acquired through such marriages) tend to suggest that the Balliols themselves were not of the aid Charlemagnic nobility – an important factor when judging the lack of support John Balliol received from fellow Flemings when he was trying to acquire for himself and his heirs the crown of Scotland. That Brix, in the hinterland behind Cherbourg (the place in Normandy from which the Bruce family supposedly took its llth-century’ surname) should have been called after a follower of the first Duke Robert is not impossible. 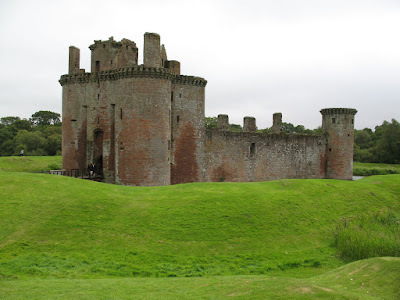 The old stronghold is said to have been given to Robert de Brus’s kinsman, Adam – father, brother or son – who built his castle there, perhaps after the family had come to Normandy in the retinue of Matilda of Flanders, the Conqueror’s bride. 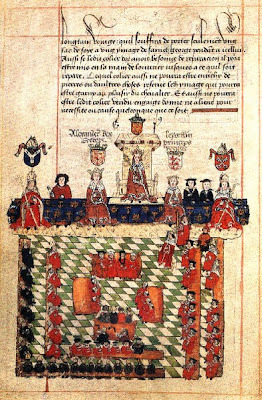 The first arms borne in England by the Bruce family – the azure lion of Louvain – shout as loudly as anything could of their connection not only with Flanders but with Queen Maud’s grandfather, Count Lambert of Lens, who was the heir of his mother, Maud de Louvain. Maud de Louvain, who married Count Eustace I of Boulogne was the granddaughter of Count Lambert I of Louvain. Her cousin Henry’s grandson, Joscelyn, through whom the “comté” of Louvain descended after the failure of the senior line, followed Robert de Brus in bringing the blue lion to England. Robert (later “de Bruis”) must have been a younger grandson of Count Lambert I and therefore a first cousin of Maud de Louvain. When Joscelyn de Louvain came to England in the mid 12th century’ to marry the heiress of the Percys, it was natural for Robert de Brus to yield up the azure lion to him as the senior representative here of the family, and Robert adopted the device thereafter associated with Bruce – the saltire. The saltire was a known device of Flanders and in the 12th century, it was borne by a noble family of Flanders called Praet. In the early years of the 11th century they were castellans of Bruges, known to be “noble and rich” though their ancestry is unrecorded. Robert de Brus himself may once have been known as Robert de Bruges, since a man of that name and title holds the castellany from 1046 and probably earlier, until he disappears from Flemish records in 1053. That was the year in which Matilda of Flanders married William, Duke of Normandy. It is certain that many nobles of her country attended Matilda into the Duchy, and there is no reason why Robert de Bruges of the princely houses of Louvain and Boulogne should not have been among them. Did one of his sons, Adam, build a castle at Brix, near Cherbourg, and another, Robert, came to England after Domesday to claim the lands awarded here to his father for loyalty to the Conqueror’s wife? We may note that the arms of the city of Bruges, adopted by its burghers in the 13th century and said to have been taken from the bearings of its castellans, show a lion rampant azure. It is possible to trace the castellans of Bruges back in time from the family of Nesle, who took over the office in 1134. Ralph de Nesle’s predecessor was Gervaise de Praet (of the saltire), who was given the office after the murder of Count Charles the Good by the Erembalds in 1127. The Erembalds were an ignoble family who brought great scandal to Flanders, culminating in the murder of its Count. They had held the Bruges castellany from 1067, having acquired it through another murder, this time of the incumbent, Castellan Baldran. Baldran’s immediate predecessor was that Robert de Bruges who left the office in 1053, the year of the marriage between Matilda of Flanders and Normandy’s Duke William. A Hainaut family, de Carnière, bore for arms a saltire and from at least the 12th century held estates near the home of Count Lambert de Lens. No connection with Praet has so far been uncovered but de Carnière had connections with another noble family, Heverlee of Louvain, who used the same arms; and one of the lordships in their fiefdom was called Brus. One would not wish to disturb the legends of this brave and chivalrous family. But it might be sensible to paint out that Cameroen (Flemish for Cambron), which is one of the earliest forms of the name, is a small place in Hainaut, less than five miles from Lens where Count Lambert, grandfather of Queen Maud of Scotland, had his home. The arms of Cameron – the famous three bars of Lochiel’s shield – were the same as those of the great frontier family of Oudenaarde, peers of Flanders, advocates (or defenders) of the abbey at Ename, East Flanders, and soldiers who worked closely with the counts of Alost to keep their country’s eastern border. Oudenaarde is about 25 miles northwest of Cambron, in a tightly knit region where all the leading families were related to each other. Gillespick, the first Cameron and usually allotted an initial date of 1057 and a Celtic parentage, is the Gaelic translation, meaning “servant of the Church”, of the Flemish name Erkenbald – a transformation which is said to have arisen out of a mistaken belief that the bald” syllable in Erkenbald referred to a monk’s tonsure, whereas “bald” in Flemish means bold. It was the 8th Duke of Argyll who used to cry: “I am pure Celt”; however, there is no doubt at all that the arms of Campbell are anciently the arms of the Baldwins, Counts of Flanders. And it has to be stressed that with the extremely strong Flemish presence at the medieval Scottish court, there could be no possibility of any arms of Flanders, but above all, the comital bearings, being borne by a man not of that blood. The device is a strange one, rare in heraldry. It seems to have arisen out of the chequers of Vermandois. The connection with Vermandois is important because Harelbeke, the first seat of the counts of Flanders, was old Vermandois territory. When Count Baldwin I moved his seat of government to Gent about 1160, he discarded the Vermandois colours for his own famous black lion on a shield of gold. The first Campbell of whom we have note bore the thoroughly Flemish name of Erkenbald, written in Scotland as Archibald and translated into Gaelic as Gillespic, or “servant of the Church”. Gillespic Campbell married Eva, daughter and heiress of Paul O’Dwin, the native lord of Lochow. At that time the western part of the country was not in the hands of the king. Norwegians of Orcadian descent held parts of it, and the rest was controlled by Somerled, lord of Argyll. It was not until the end of the 13th century, when the Norwegian threat had been pushed back, that the Campbell name began to appear in official documents of the region. Up till then, Gillespic Campbell and his heirs might have kept a discreet profile in the west until the quarrel with the men of Lorn in the 1290s, which the Campbells won at the cost of the death in 1294 of their chief and hero, Colin Campbell or Cailean Mor. His son, Sir Neil Campbell of Lochow, married the sister of Robert Bruce. town of Comines is nowadays a substantial place on the border between France and Belgium. In the l1th century it was a small manorial estate in Hainaut belonging to the Count of St Pal whose surname was Campdavene. The St Pal arms have become the famous mark of Comyn- William Comyn’s brother Richard married Hextilda, the granddaughter of Donald Bane, slain in 1097. We know from the Regesta Rerum Scottorum and other sources that a 13th-century Count of St Pal — by then not any longer Campdavene but Chatillon had built for himself “in Inverness that is in Moray a wonderful ship, so that in it he could boldly cross the sea with the Flemings. The first adequately recorded member of the Crawford (or Crawfurd) family is John, stepson of Baldwin the Fleming, of Biggar, who was given lands near Crawford which thereafter became known as Crawfordjohn. Towards the end of the 12th century, William de Lindsay came into Crawford and made the place impregnable by building Tower Lindsay. The Crawford arms are known to have been borne by castellans of Douai. The labyrinthine inter-relationships of the Flemish nobility in their own country continued into England and Scotland, and there are other clues to the origin of the Crawford arms. Baldwin of Biggar is sometimes described, apparently because of his wife, as Baldwin of Multon. The place is nowadays identified as Moulton in Lincolnshire; its first known holder the Anglo-Flemish Lambert of Multon, also held estates in the north, among them Egremont in Cumberland. Egremont derives from Aigremont, near Lille, then in Flanders though now in the Nord department of France. The lords of Aigremont were peers of Lille, advocates of Tournai, and crusaders. Their arms were identical with those of Crawford. Although William de Douglas was the first known owner of Douglasdale, holding that land between 1174 and 1213, there is no reason to doubt that his father was “Theobaldo Flamatico” or Theobald the Fleming. The family’s arms indicate the kinship with Murray and a descent like that of Brodie and Innes, from a third son of the house of Boulogne. In Flanders there was a family of the Theobalds who were hereditary castellans of Ypres between about 1060 and 1127, after which their history becomes obscure. Theobald’s lands in Scotland were granted to him soon after 1150 by the Abbot of Kelso. William de Douglas, the heir, having married the sister of Friskin de Kerdale or Freskin of Moray, had by her six sons; the five younger of them all went to Moray to support their uncle there and his own heir, Archenbald, stayed in Lanarkshire to inherit the Douglas estates. He married a daughter of Sir John Crawford. 0f Biggar in Lanarkshire, Baldwin the Fleming was given the onerous sheriffdom of Lanarkshire by David I. He married the unnamed widow of Reginald, fourth son of Alan, Earl of Richmond, and her son John 0f Crawford was to become one of his knights. A sure guide to Baldwin’s ancestry must lie in his armorial bearings which has a double tressure. The tressure is unknown as a heraldic device in any country except Scotland and Flanders, the latter’s use being the earlier. Even there, only one family is shown in surviving records as having borne it, the mighty lords of Gavere, in the province of Gent. A Lord of Gavere married Eve, Lady of Chièvres, about 1130, and their son, Razo IV sported the double tressure on his shield. Eve’s family had been represented in the Conqueror’s army by William de Chièvres who became a powerful baron of Devon. At what date Baldwin left Devon for Scotland is not known. His descendants became the Earls of Wigton and Lords Fleming of Cumbernauld. William de Graham first appears in Scotland within a year or two of David’s accession, having been given lands at Dalkeith. He came from Grantham in Lincolnshire (spelt Graham in medieval times), bearing the escallops of Hesdin, and there can be no doubt that he .was the younger son of Arnulf de Hesdin. Arnulf’s death at Antioch had left three unprotected children. Walter, the elder boy, must have gone back to Hesdin, where he eventually inherited the “comté”; Avelina succeeded to her father’s English possessions; she became the wife of Alan Fitz Flaald and, by him, ancestress of the Scottish Stewart kings. One of William’s descendants was the Duke of Montrose. The ancestor of the Scottish Hay family, William de La Haie, came to Scotland in the reign of David I and became butler to both Malcolm IV and William the Lion. His place of origin was named La Haie, near Loos in west Flanders whose lords served the castellans of Lille; their device was exactly like that of the Scottish Hay. The first castellans of Lille descended from the noble Fleming, Saswalo of Phalempin. Their charter surname, de Insula, appears many times in British history and Roger de Insula was the ancestor of the lords Lyle in Scotland. One of his grandsons married Matilda of Wavrin whose family was also of Lille and who could trace their descent from Charlemagne by several lines. Berowald was in possession of land named after himself at Berowald’s (or Bo’ness, once the third seaport of Scotland, having a considerable trade with the Low Countries) in West Lothian in the 1150s. He was a man of considerable rank and distinction and by a charter of Malcolm IV in 1154, he was given lands in Moray at Innes and Easter Urquhart. In that charter he is described as Berowaldo Flandrensi -Berowald the Fleming. The award was made in recognition of his good services in putting down the rebellious natives of Moray, and one of the charter witnesses was William, son of Freskin, the ancestor of the Murrays. Berowald’s arms are symbolically the same as Freskin’s, with tinctures changed and tressure omitted, as would be proper for a younger member of the family founding his own dynasty. Baldwin of Alost and his younger brother, Gilbert de Ghent, companion of the Conqueror, were sons of Ralph of Alost and cadets of Guines. Gilbert de Ghent, Earl of Lincoln, was father of Walter de Lindsay, ancestor of the Scottish family of Lindsay. All chroniclers agree that Freskin was a Fleming who was in Scotland in the reign of David I, and was initially allotted estates at Strathbrock in West Lothian. He took part in quelling the insurrection of 1130 in Moray, and was thereafter given the task of defending that county and awarded the extensive lands necessary to do so, his headquarters being at Duffus where he built a mighty fortress. Freskin’s arms, which have passed to his ultimate descendants, the Murray dukes of both Atholl and Sutherland, were the colours and devices of a third son of Boulogne – the family of David’s queen. (The ancient earldom of Atholl bore the colours of Flanders). As a personal name, Freskin does not appear in Flemish dictionaries. It is presumed to be a nickname, perhaps meaning “the one with the frizzy hair or curly-headed”. The manor of Lilford, Northamptonshire was held at Domesday by the Countess Judith, and her under-tenant there was her nephew, Walter the Fleming. The spelling given in Domesday Book is Lilleford, but the place was also known as Holy Ford. The first Holyford, Olifard or Oliphant of Lilford of whom we have note was Roger, who witnessed a charter to St Andrew’s Priory, Norhtampton, for Simon de Senlis, first husband of Scotland’s Queen Maud. Roger’s successor at Lilford was William, and the David Oliphant born there about 1120 who was godson of Maud’s second husband, David of Scotland, was William’s son. 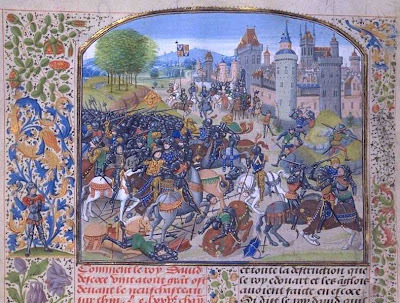 The war between King Stephen and the Empress Maud was a difficult one for all Flemings, but David Oliphant’s dilemma was more acute than most. While fighting for Stephen at Winchester in 1141, young Oliphant became aware that his royal godfather, fighting on the other side, was in great peril. At the risk of his own life he saved the Scottish king and hid him until the way was clear for an escape over the Border. Although the Oliphants continued to hold Lilford until 1266 (when it passed to their kinsman, Walter de Mai-ay), David Oliphant followed his godfather to Scotland and spent the rest of his life there, serving him loyally and wisely as justiciar of Lothian. His heraldic device was that of a second son of Boulogne, so David Oliphant was of the family of Lens like Queen Maud. The descent of this family from the Breton, Alan Fitz Flaald, is well known and need not be re-told here but the significant ancestry enjoyed by his son Walter, founder of Paisley Abbey and steward to Scottish kings, came through his mother, Avelina de Hesdin. It was the blood of the counts of Hesdin which was venerated in Flanders, and it was that noble heritage which persuaded those Flemings who had made their home and their patrimony in Scotland, to allow Walter’s descendants to occupy its throne. But Alan Fitz Flaald himself possessed a thought-provoking ancestry which it would be unwise to ignore. The Breton Count of Dol appointed his forebear Flaald or Flathauld (? or Fleaunce) to the position of steward or dapifer in his Celtic household. The legend of Banquo’s murder by Macbeth and the flight of his son, Fleaunce, southward, was well known in Scotland long before Shakespeare’s day; the playwright’s information was drawn from Scottish histories. What has never been explored by this legend’s detractors is the close connection between medieval Wales, to which Fleaunce had immediately fled, and Brittany, to whose charters Flaald and his family were contributing in the second half of the 11th century. Church paths – the so-called “saints’ paths” between Wales and Brittany were very well trodden in the 11th century, and the inhabitants of the two countries could speak each other’s language. Alan Fitz Flaald’s descent from Banquo, thane of Lochaber, need not be summarily dismissed; its attractiveness to those who wish to retain Scotland as a wholly Celtic monarchy is understandable. Vol.II, 1990, Procter Press, London. J.Arnold FLEMING, “Flemish Influence in Britain”, 1930, Jackson, Wylie & Co, Glasgow. Arrangement Copyright 2010 by David Baeckelandt. All rights reserved. No reproduction without my express written permission. Sir Alexander Fleming (6 August, 1881 – 11 March, 1955) was a Scottish biologist and pharmacologist. He wrote many articles on bacteriology, immunology, and chemotherapy. His best-known discoveries are the discovery of the enzyme lysozyme in 1923 and the antibiotic substance penicillin from the mold Penicillium notatum in 1928, for which he shared the Nobel Prize in Physiology or Medicine in 1945 with Howard Florey and Ernst Chain. It was a discovery that would change the course of history. Gave the world Light-James Bowman Lindsay, inventor of the "lightbulb" in 1837 some 40 years before Edison. Gave the World - Communication . Invented the Telecom Industry- Alexander Graham Bell was born in Scotland. Gave the World Television - Logie Baird . Born in Lugar, Ayrshire, he is famous as the Scot who lit the world. His Cornwall home was the first to be lit by gas and by 1803 gas was used around Britain. Invented steam tricycle, steam cannon and waterproof paint. Glasgow-born father of oil industry. Invented way of extracting paraffin from oil-rich shale and coal and established world's first oil-works in Bathgate. Made his fortune selling paraffin oil, wax and even fertilisers. Born near Dumfries, he developed first rear-wheel-drive bicycle in 1842. Villagers thought him mad for dreaming up the first velocipede, as it was then called. Known locally as 'Daft Pate', his invention is still used by billions. Went to Glasgow University when just 10. Developed the science of thermodynamics and formulated the Kelvin scale of absolute temperature, Supervised laying of the first transatlantic telegraph cable and improved ship's compass. Born in Dreghorn, Ayrshire, he qualified as a vet at nineteen. Fed up with travelling on bumpy roads, he experimented with his son's tricycle and came up with the idea of an inflated rubber tube. Established what became Dunlop Rubber Company. The Edinburgh teacher of deaf children experimented with electronic devices to help them communicate. His invention was patented in 1876. His many inventions include the biplane, which made it's first public flight in the USA in 1908. Born near Darvel, Ayrshire, he studied medicine in London. Developed the use of anti-typhoid vaccines and in 1928 discovered penicillin, revolutionising world medicine. He won the Nobel Prize in 1945. Born in Helensburgh, he produced the first TV picture in October 1925. Sent the first images across the Atlantic in 1928. Started first TV station with broadcasts for BBC. Also involved in fibre-optics, radio direction finding and infra-red night viewing. The Glasgow man died, in obscurity, after inventing rail-plane, a high-level monorail system. The prototype, at Milngavie, was sold for scrap in 1956. Today, Las Vegas, Tokyo, Moscow and Seattle all have monorails. Born in Uddingston, Glasgow, he developed drugs that saved millions of lives. Beta-blockers such as Propranolol and Tenormin revolutionised heart treatments. Then came ulcer tackling drugs, like Tagamet. Won the Nobel Prize in 1988. Dundee University Chancellor. In 1966 he led a team at Roslin Institute, near Edinburgh, which created Dolly, the first cloned mammal. It caused a worldwide sensation. He is now leading stem-cell research into degenerative diseases, such as Alzheimer's and Parkinson's. It has not been sufficiently understood that the wars of the Scottish succession were intimately concerned with an insistence by the Boulonnais there that their own blood should continue on the throne. For Flemings had married Flemings and by now south and east Scotland was largely populated by men and women whose ancestors had come from Gent, Guines, Ardres, Comines, St Omer, St Pol, Hesdin, Lille, Tournai, Douai, Bethune, Boulogne. The 1290 break in the Scottish-Boulonnais succession provided the English monarchy with a heaven-sent opportunity to annul the Charlemagnic descent. Stepping in as friend and mediator, Edward I flung his armed weight behind John Baliol – a man who, although undoubtedly a Fleming, was not descended in the male line from the old comital house of the Eustaces. Nor has it been properly appreciated that the Ragman Rolls of the 1290s, by which an allegiance to Edward I had to be sworn by men described by later historians as “Scottish nobles”, were simply lists of important people of Flemish ancestry wherever they might be found; in fact many of the names are recognisable as belonging to Boulonnais. Did Annette Hardie – Stoffelen get her information about the Crawfords from Beryl Platt's "Scottish Hazard"? If so, I'm seriously considering getting a copy. I think the Clan Crawford Clan Association needs to look into this. The historical and heraldic evidence certainly points to there being a Flemish lineage in addition to the native Gael and Anglo-Dane lineages that, according to the recent Crawford Y-DNA project, comprise House Crawford. I strongly suspect that my own branch of the clan, which is haplogroup R1b-L20, may well be of Flemish descent.